The word Snug is a rather quaint and oft-used noun in English that if one takes the time to look up usually denotes something rather comfortable, cozy or a nice fit of sorts. It also stands for a welcoming space or room in a bar or pub and in urban slang it can also mean the best boyfriend on the planet. Tempting as it is to delve into the salient points of urban slang or the benefits of drinking your beer in front of a warm and cozy fire it is probably best we focus on the rather more relevant interpretation which is that of a rather cozy or good fit for the benefit of this review. 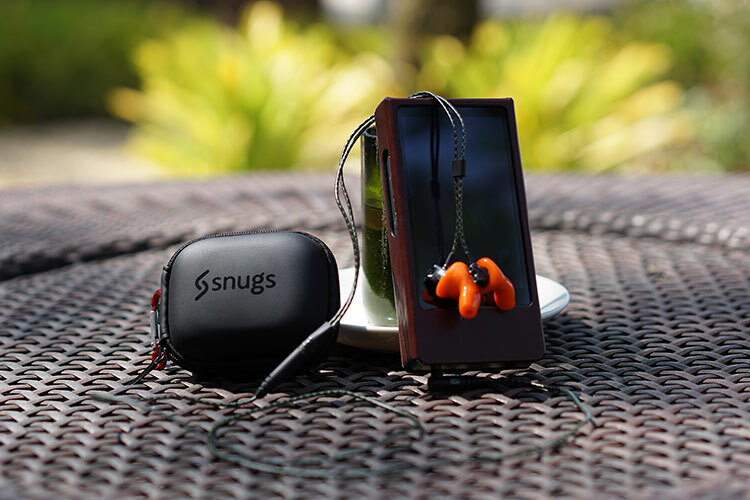 It really was only a matter of time before this erstwhile little-known art of upgrading your IEM blossomed into a mainstream business and UK company, Snugs have certainly done that. Paul & Emma Jobin hail from audiologist backgrounds and are based in the rather beautiful and serene shire county of Somerset just off the Exmoor National Park in England. Hardly a center of noise which is ironic because Snugs is all about preventing that and some more. Personally I know of a few places that will indeed re-shell your own universal IEM and even customize a tip or two for your existing IEM but is on a piecemeal basis and the consultation exercise is perhaps a bit convoluted and invariably involves you having to take your IEM there to look at it as well as having your impressions done. Of course, there are the major customs companies that will happily reshell your existing IEM, add a few drivers and come out with something totally unique. However, the process is irreversible given that the IEM is now customized completely for you and you alone. Resale value drops in the long term. What Snugs is offering is twofold. First, like any other custom monitor company they offer readily built CIEMs that come in a wired or wireless format. Second they offer what they call a Snugs only customized tip for your existing IEM that can replace the regular tip and in effect produce a perfect seal to match the shape of your ear. On paper, it should immediately convert your universal to a custom IEM. They have a wide range of existing universal IEMs they offer to fit for in both a full shell and a half shell and use the latest 3D scanning technology to make sure your shell fits your ear perfectly. They can also accept traditional clay molds should you not be able to avail of the scanner. The marketing pitch is not purely for audiophiles mind you. There is a heavy emphasis on lifestyle in all its various activity-based guises where noise is an issue. You have commuters, gym users, people who fly, people who use motorbikes, swimmers and yes those who require monitoring. The wide variety of potential users and how Snugs can be applied is a legacy of audiology experience in terms of who they work with every day. Noise cancellation is a big deal to a wide variety of professions and physical activities. As with anything custom in this business, all things start with an impression of your ears. If you are within a reasonable distance of Snugs you can pop into a fitting center and have the whole process done with a 3D scanner which I have yet to try so I cannot comment on the accuracy of it. For everyone else physical impressions or clay molds will be received no issues if you send them in directly to Snugs once completed. This is the norm for me so I won’t go into too much detail for the risk of repeating myself (just check out our CIEM section for detailed instruction in any of the articles) but closed or relaxed jaw, full ear impression beyond the second bend of your ear canal is the magic phrase for good clay impressions. 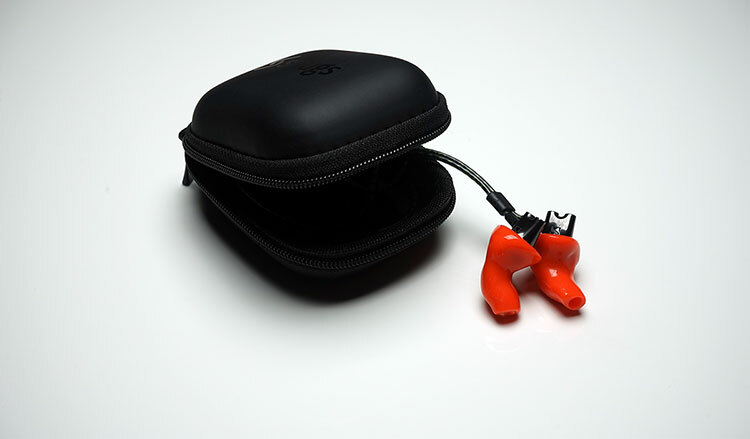 Try to use clay that helps build up a slight bit of pressure to get the best possible detail from your ear, Dreve OtoForm is just fine for me and I have been using that for a few years. After which pop them in a ziplock bag with air and a Tupperware container and hand them to the courier of choice addressed to Snugs and wait for the final product to be returned to you. As with any level of customization you do get some choices and the Snugs website does have a rather above average user defined customization process. Since I was opting for a Snugs Only custom shell I was offered the choice of 10 different colors for the left and right shell (both can have different color schemes) with a half or full shell request and the option of sending in impressions or having them done by Snugs affiliates. If you decide to go the whole hog you have the same level of customization but based on the SoundMagic E10S universal unit. In my case, I opted for a Snugs Only for the Sennheiser IE800 which is one of the listed compatible universal IEMs on the main Snug website. 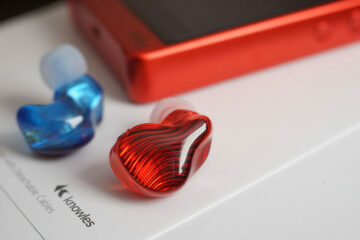 If ever there was an IEM that was crying out for a better fit, then it is the IE800. I have come to really enjoy the tonality of the IE800 over the years but bloody hell the fit is awkward, the cable is short and the proprietary tips are just annoying. Having a custom shell for the IE800 really appealed to me. I do realize though that sound properties could change quite considerably with custom molds but the fit and seal potential of these Snugs couldn’t be ignored. Color? Yup, it is once again Orange. My camera and I adore Orange so what’s one more to the collection eh? Depending on the IEM you want a set of tips custom made for it will either come in a half or full shell. The IE800 was a half shell due to the design and small driver design, most larger drivers will require a full shell. 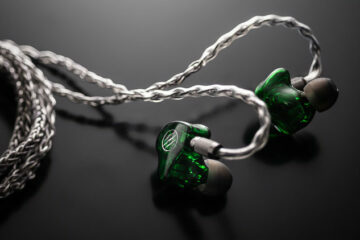 You can find the current list of compatible IEM’s that Snugs cater for here. The Snugs website claims a blazingly fast 8-10 days’ turnaround time for all UK orders though for those outside the UK such as me the wait is a touch longer. In truth, my turnaround time was 15 days from the moment they received to the moment it was received at our UK address. I actually got them in my hands about 3 days later in SE Asia. In the context of my experience with previous customs manufacturers, that’s well above average in terms of turnaround time where the norm has been closer to 4-6 weeks. Kudos then to Snugs for that kind of speed and I hope they can stick to that once the orders come in thick and fast. I have seen a few companies stretch that turnaround time due to worldwide orders making it an uncomfortable moment in the process. Snugs custom tip shells are built in silicone which is my preferred choice for custom monitors and by the far the more comfortable of the two usual choices, the other being acrylic. This will be my third custom shell in silicone to date those these do not have any drivers inside. The silicone molds are very well done, with no imperfections that I can see and adorned with the logo and your name on the outside. The logo looks great but the name is debatable on whether it should be engraved on the outside or inside. Personally, on the inside might give it a tidier look but that’s just a preference thing. Each ear shell logo and name are in a different color with red for the right shell and dark black for the left shell. Given there is no connector for wires the direction of wearing these will be dictating by the existing method by which you wear your universals. Snugs custom shells will not change the direction in that manner. In the case of the IE800, this will be worn straight down rather than over the ear. The cable is simply too short from the y-split to wear it any other way comfortably. Of course, being something that fits onto your current IEM there is a big gaping hole at the back to allow you to insert the universal IEM into. This is perhaps the second crucial area for accuracy as any gaps will drive down isolation and the intended audio response will fall flat on its face. I also noticed through trial and error that sliding the IE800 at an incorrect angle reduce performance considerably particularly in the bass response. Thankfully the IE800, sans tip, fitted right into the shells with no gaps. Silicone is perfect for this type of exercise. It has enough flex and pliability to allow you to shove it right in and twist it here and there without cracking. It also naturally closes up on the sides of the IE800 closing out any tiny holes or gaps. Reminds me of memory foam in a way though not quite as dramatic in its shape-shifting ways. For those without 20:20 vision or in dim light there is another huge benefit of getting these shells for the IE800 and that is the near microscopic labeling of left and right drivers. Sorry but my eyes hurt each and every time so having a clear red and black distinction is a welcome relief. A good fit makes a world of difference in the performance of an IEM. A perfect fit, aka custom design, simply cannot be beaten and the Snugs lift the IE800 to custom level with their half shell. It does take some getting used to in terms of inserting a half shell as opposed to a complete CIEM. You do not have the usual markers on where to hold it, twist it and insert it much like a CIEM. The best way to describe the how to get the best fit is to put one finger on the IE800 body and one on the top of the silicone Snugs half shell and slide in at a relatively horizontal level and then adjust until you get a full seal. Ideally, the IE800 should be in a vertical position with the cable flowing straight down. Once adjusted first time round its get much easier to insert and get an instant seal. The seal itself is exactly like a custom monitor and so it should be. If you have significant air or noise leak, then check the seal at the back of the shells where the IEM is inserted to make sure it does not have imperfections or inserted incorrectly. Otherwise, it’s up there with Custom Art’s Harmony 8 and Minerva’s Mi-Performer Artist Silicone CIEMs with excellent comfort and zero leakage. The Snugs are not cheap at £139, not unless you are really adding the icing on the cake to an IE800 or something considerably more expensive does it have proportional value. That being said you get a little more than just the tips with the retail package. You also get a tube of Drev Otoform ear balm, a manual on how to use the shells, a Snugs sticker, and serial card as well as a handily branded semi hard case shell all bundled into a small black discreet black retail box. It is missing a drying gel pack which I think would be useful for a set of silicone shells but otherwise on par with plenty of other CIEM companies. The stock IE800 with those proprietary tips is an extremely clean and clear sounding IEM with a tremendous amount of detail and resolution. Bass extends incredibly well with a bit of sub-bass heft that tends to resonate strongly when called upon but lacking in any mid-bass bloom meaning you get a nice clear and spacious mid-range with a really strong vocal presence. Staging is excellent without sounding too hollow or intimate and achieving a very nice sense of depth. The usual criticism of the IE800 is the rather lean and brittle nature of the treble response which is usually exaggerated with a poor fit especially with sibilance and a slightly unnatural timbre creeping in making it seem sharp or bright. The slightly short nozzle of the IE800 also makes it a nightmare to work with regular foam tips if you want to dampen down the upper range and thick the response somewhat over the silicone buds. That means what you hear from the IE800’s upper range depends largely on well you can get the fit to work for you. The Snugs shells do make some subtle changes to the tonality of the stock IE800 and for me this is actually quite a good thing. It still has excellent sub-bass rumble, wonderful mids and vocal presence as well as keeping that slightly ethereal quality to the treble response. It is not a complete departure from the stock sound. What it does do however is bring everything far more into focus by blocking out unwanted background noise and enhancing the seal that the stock tips readily allow. This is most noticeable with the staging of the IE800. The depth is still there, perhaps even more so, but the imaging goes up a notch and the presentation feels far more dynamic and engrossing as a result. Bass has always been a strong point of the IE800 even with the stock tips but that additional seal and canal reach from the Snugs tips makes it feel a bit more impactful and meaty, especially on silent passages or stripped down bass responses where a really good black background is essential. I am also pretty pleased that the Snugs shells didn’t mess with the natural sound of the IE800 mid-range keeping that nice spacious feel and natural timbre. If anything though vocals felt just a bit further forward and fuller sounding than with the stock tips. There is a very slight diminution in the brittle nature of the treble response with just a little more meat on the bones. Percussion timbre feels marginally more natural sounding in the lower treble though not quite as airy in the upper treble. Degrees of context, it is not suddenly buttery smooth with the Snugs fitted on just not as lean as before. Right so basically I am not taking these Snugs off my IE800’s for a very long time indeed. They seal perfectly (as they really should, given they are customs), the silicone build is excellent and fit is super comfortable. It really kills a lot of issues I have with the IE800 as a universal IEM with a crap fit and proprietary tips with very few replacement options. They do change the stock sound a little though not dramatically. The most noticeable differences can be felt in enhanced dynamics, great imaging and a more forward vocal presence. It’s a profile I personally prefer as a vocal fan with the enhanced seal really allowing me to get into what I am listening to. Treble doesn’t feel quite as brittle also which is a welcome benefit. One area people will look at though is the cost. At £139 ($200) the Snugs Only shells have more value to the audiophile than the everyday user simply because we are the ones more likely to be touting an IEM like the IE800 which costs around $800 (£544). On that price ratio basis, the Snugs Only shells are a very good deal indeed for the more than awkward IE800. If you are sitting on a sub $100 earphone, then the proposition is less appealing and certainly a SoundMagic E10S that is being used as part of the Wired range is even less so. I would much rather see some sort of partnership with the likes of RHA or RockJaw for a wired version personally. The Snug wired RHA MA750i has all sorts of win written over it. The Snugs Pro for the Shure SE846 does seem better value if at a slightly higher price of £229. Given the Shure SE846 retails for £697.00, a custom fit for 1/3 of the price is not wholly unreasonable to stage musicians and pros and the odd mad audiophile or two. Mind you all that discussion on price simply melts away when you get these things on your IEM of choice. Personally, I think this is a better and cheaper option than having your IEM re-shelled with the added benefit of being actually able to take them off when it comes to the possible moment when you decide to sell that IEM. That is something which you cannot do on a re-shell and you normally take a hit in the value, perhaps a lot more than the £139 cost of a Snugs shell. snug is not a noun, it’s an adjective. Different author for the K10, that was Mike. I do the same ear impressions process now for the last 2 years and counting – full impression to just beyond the second bend in the ear canal using clay with mild pressure build-up properties. Your local audiologist should get that quick tip right away and then show them the green clay pic on the right-hand side as the perfect way for it to come out. Hope that helps. Thank you for the info and the quick reply, and sorry I should’ve checked to make sure the authors were the same. Do you you think there is a way to do this process yourself (such as Mike’s Radians method) and if so, how should I go about it? I would get it professionally done if I had the option, but unfortunately in the area I live in I do not have any audiologists, the closest is 7 hours away. Thank you very much, I might give it a try. I think its possible but would have to do some careful testing. Mind you, they have a very long list of compatible IEMs on their website so it might be worth checking this first to see if your IEM has a match. The IE800 molds might be tricky to find a duplicate due to their odd shape and length but other ones might have a more generic applicability.